Many parents will remember the “Back To Sleep” campaign in the early 1990’s. Launched to reduce the risk of Sudden Infant Death Syndrome (SIDS), the number of babies dying from SIDS was dramatically reduced after the campaign began. However, a recent study shows that the decline of these deaths has plateaued in the recent years. But researchers were also quick to point out several different factors besides their sleeping environment that has played a role in the decrease. The study, published in the journal Pediatrics, between 1983 and 2012, the number of deaths that were attributed to SIDS decreased 71 percent. 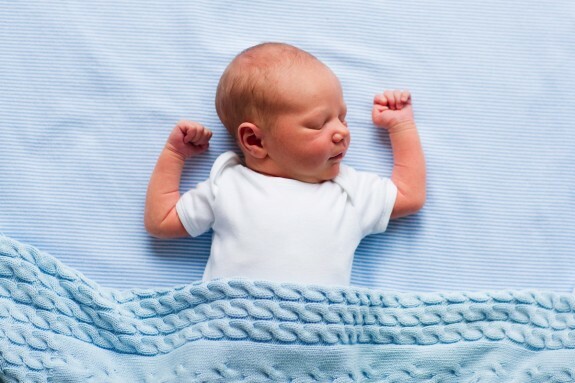 But, SIDS still is the leading cause of death among infants between month old and one year old. In 2010 alone, more than 2,000 infants died from SIDS. One reason that we are seeing this shift is that over the past ten years, medical examiners and investigators have changed how they classify infant deaths. Certain deaths that would have been classified as SIDS in the past are now being classified as “cause unknown” or “accidental suffocation or strangulation in bed.” Miller said, “When we’ve seen the SIDS go down, we’ve seen infant deaths from asphyxiation, loose bedding and things like that go up.” The recoding of these deaths may in part explain the plateau of SIDS numbers. According to Miller, when it comes to SIDS, infants face what she calls a “triple threat,” being most at risk between the first 1 and 4 months, this, along with other environmental factors increases the risk during the early months of the child’s life. Another large drop in infant deaths “has to do with big initiatives in maternal smoking,” says Miller. “Maternal smoking has decreased dramatically since the ’70s.” Researchers said that smoking by pregnant women decreased from 16 percent from 1987 to 10 percent in 2011. That, coupled with improved steroid medications for treating infants with respiratory distress syndrome – which is often seen in premature babies, has also decreased the number of deaths.